Hand wash, cold water, no extortion, no soaking, dry in shade. The perfect modest bridesmaid dress! Made from high quality lace materials! 3/4 Sleeves, dress down to knee, comes with belt! 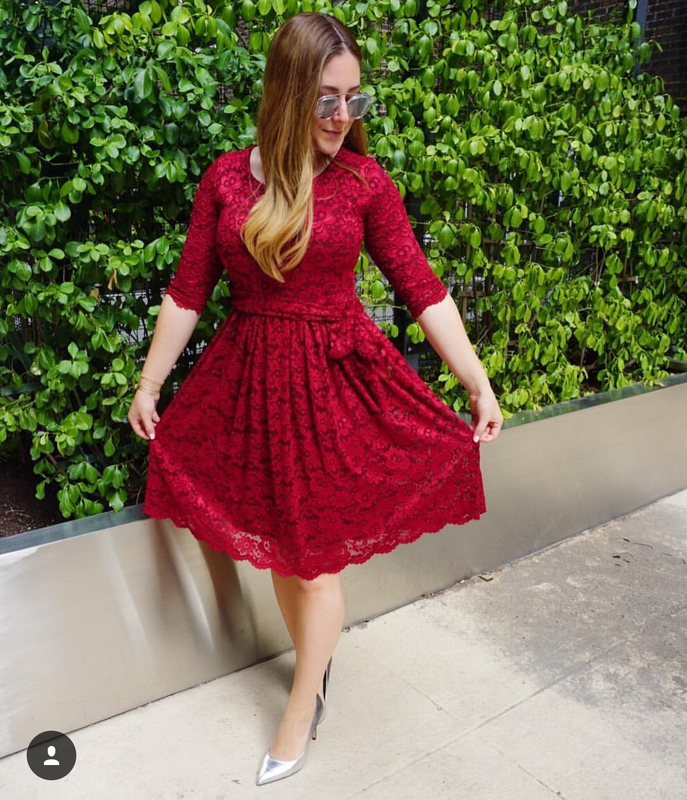 This gorgeous lace fit and flare dress is perfect for your next special occasion and for the holidays! The elegant lace and belt detail keep you looking classic and sophisticated. This dress comes in navy, black, maroon, and red - the perfect bridesmaid for a wedding! This dress is beautiful. I love that it's modest, but so cute! I bought it for my teenage daughter and she loves it! The dress itself is beautiful. I needed a bigger size, which is no ones fault but my own because I can’t stop eating cookies! The dress is beautiful just like the picture BUT be careful with the red color. The red dye came off on books, chairs, couch cushions and even dyed my phone case.